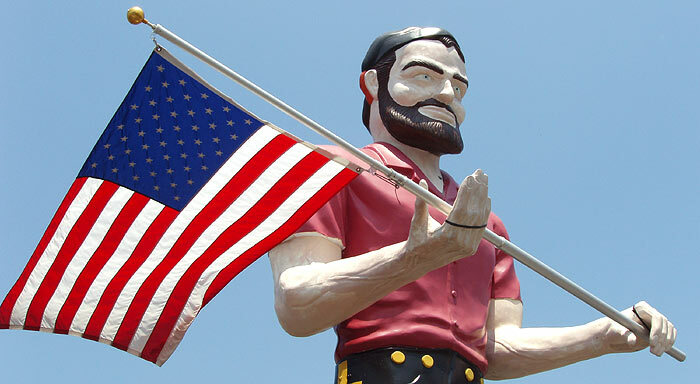 The Lauterbach Tire muffler man holds the flag on Route 66 in Springfield, Illinois, on July 9, 2006. 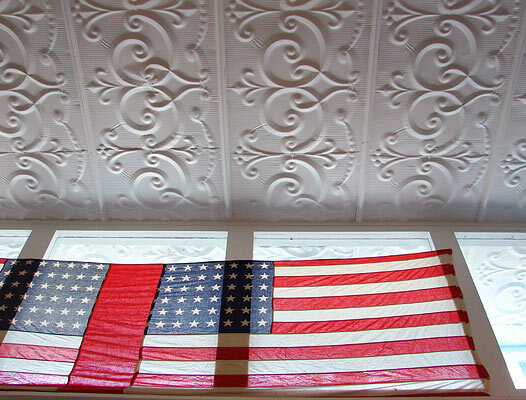 A downtown business in Warsaw, Missouri, displays the flag beneath a vintage tin ceiling on June 29, 2008. 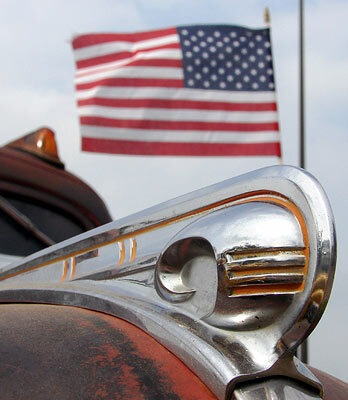 A flag in front of Denver's Union Station flutters in a long exposure on March 28, 2007. 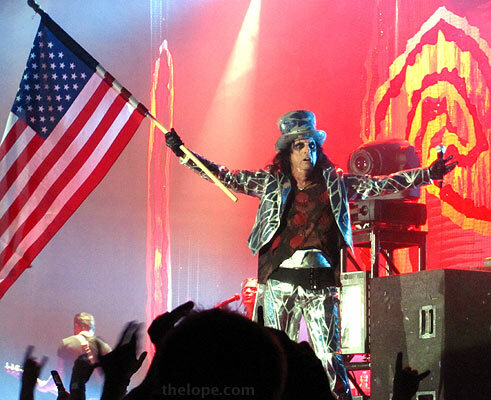 Alice waves the flag and wants to be elected on May 15, 2010 in Kearney, Nebraska. 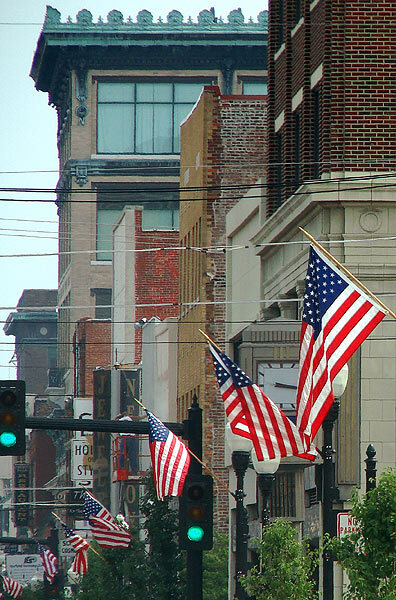 A Route 66 block of downtown Joplin, Missouri, is decorated for Flag Day in 2007. 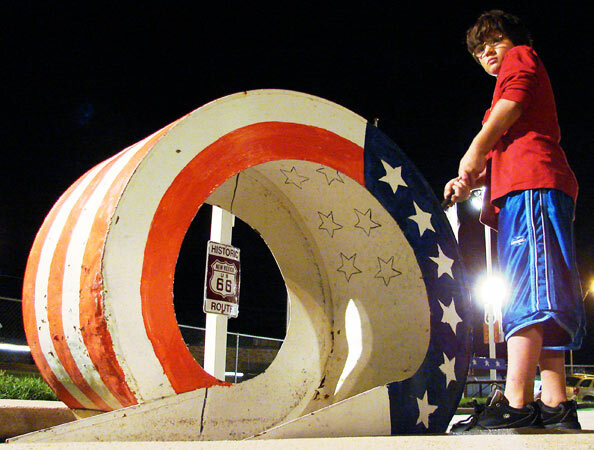 A loop at Route 66 Miniature Golf in Clinton, Oklahoma, shows the colors on June 21, 2007. 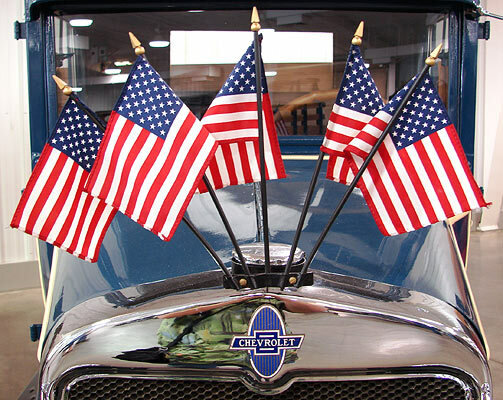 Above and below, flags help decorate antique trucks in Hutchinson, Kansas, on May 23, 2008. 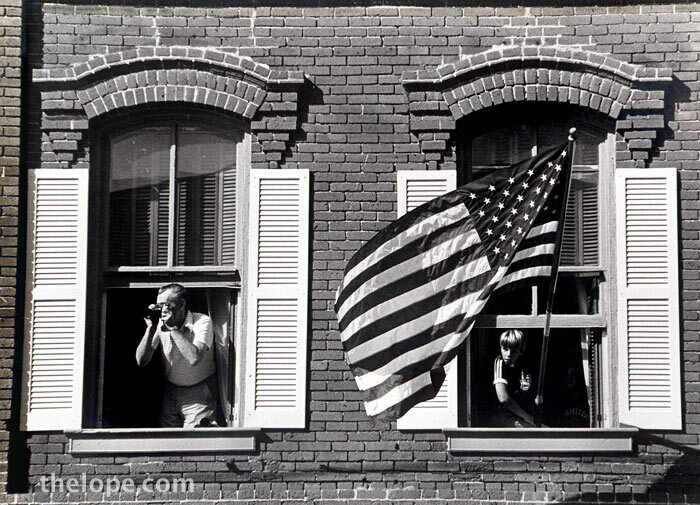 The flag waves during the MSSC homecoming parade on Route 66 in Joplin, Missouri, in about 1979. 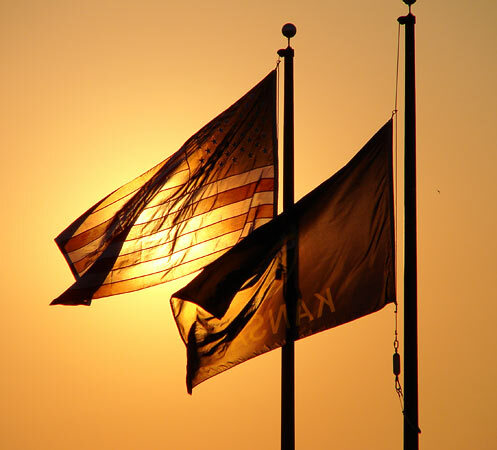 The United States flag is joined by the Kansas flag over Avenue A Park in Hutchinson, Kansas, on July 12, 2007.